In 2013 my husband was taken to the emergency section of the RMH where he was admitted for surgery to remove a very large brain tumour. I am sure many carers would remember the feeling I had when I received this news, I remember actually losing my breath for a moment! After surgery the following day we were relieved to hear the news that the tumour was benign and not malignant. Unfortunately he had to overcome other problems, clots in the lungs and pneumonia so after a stay in intensive care he was then moved to a ward. Not long after being settled into the ward we had a visit from Suzanne from BrainLink. After a lovey chat Suzanne gave me her card and said I was welcome to call if at any time I was needing any support. I popped the card into my purse thinking why would I be needing BrainLink, the tumour was gone and all that was left to do was go home and recover. 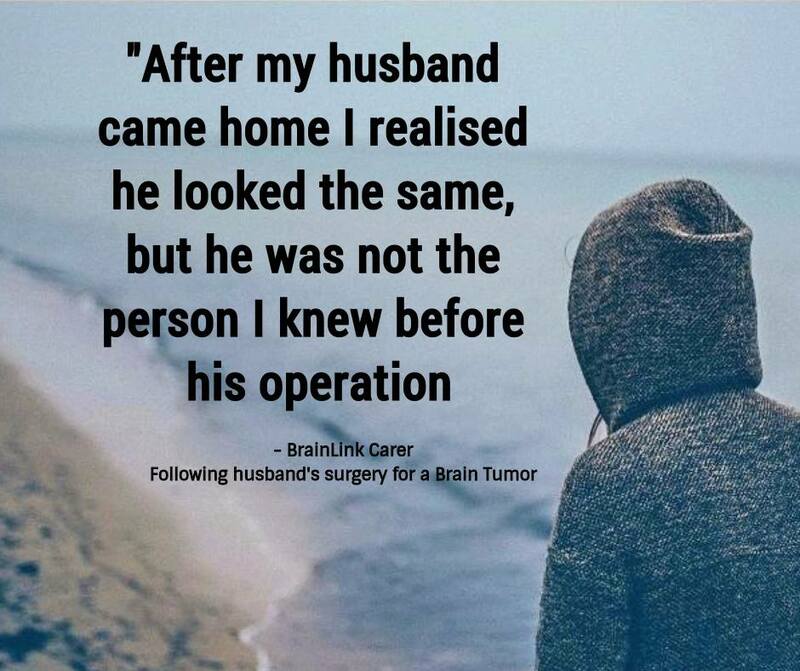 How wrong I was, after my husband came home I realised he looked the same but he was not the person I knew before his operation. I battled along for a couple of weeks finding it hard to cope. I knew I needed to talk to someone, but who? Then I remembered the card in my purse from Suzanne. I called Suzanne who patiently listened to me and helped me understand a little better some of the things I was experiencing. I was kindly invited to a carers retreat where I was able to talk to other carers who were having similar concerns to the ones I was having. Many nights I cry to myself with guilt because I've been impatient or grumpy that day, then out of the blue I receive an email from Sophie inviting me on an outing with other carers. After each outing I always go home feeling a load has been lifted off my shoulders. I realise I am not a bad carer, I am like many of the carers I speak to, I am human and I get very tired at times. Thank you Suzanne for your card - it has been a life line, and thank you Karen and Sophie for arranging outings giving us carers that relaxing break.